The earlobe, or lobule, is the key feature of the bottom part of the ear, accounting for roughly 25% of the entire length of the ear. Its primary function is to help maintain balance and warmth. Because it determines the overall aesthetic of the ear, a misshapen or deformed earlobe can be cause of concern. 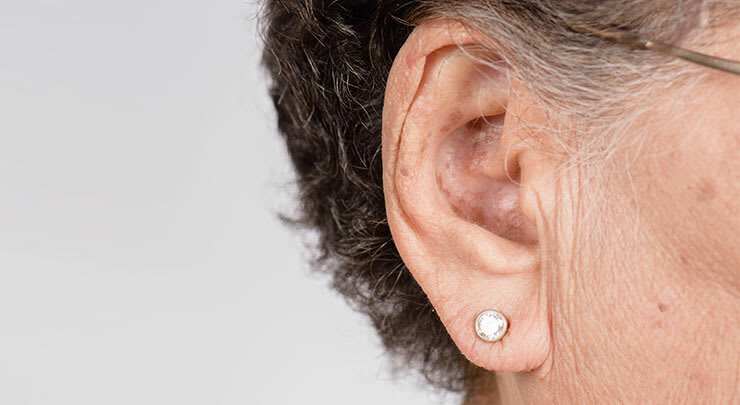 Even though we often decorate them with jewelry and consider them to be an erogenous zone, the earlobes are often a neglected part of a person’s appearance — but only when they’re normal sized and proportionate. If they are misshapen, deformed, and/or damaged, they can become the primary focus of an individual’s appearance and cause of low self-esteem. According to a 2003 study published in Plastic Reconstructive Surgery, preferred earlobe measurements of male and female subjects were detailed. Ear length ranged from 56 to 81 mm and ear lobe length ranged from 13 to 25 mm.The study found that the preferred ear lobe length was 23% to 34% of the entire ear. However, it’s important to note that these measurements are based on caucasian subjects, so they do not apply to all people. Genetics determines whether your earlobes are attached to the side of the head (recessive trait) or unattached (dominant trait). Doctors do not know the cause of congenital earlobe deformities. If you developed misshapen or deformed earlobes after you were born, then these are not congenital; they're acquired. Split earlobes are considered to be the most common type of acquired deformity corrected by cosmetic ear surgery. They are often caused by earrings that tear through the lobe, splitting it into two. Unwanted holes can remain from piercings or trauma. Enlarged ear piercings are caused by either an earring that partially tears through the earlobe or an ear gauge. 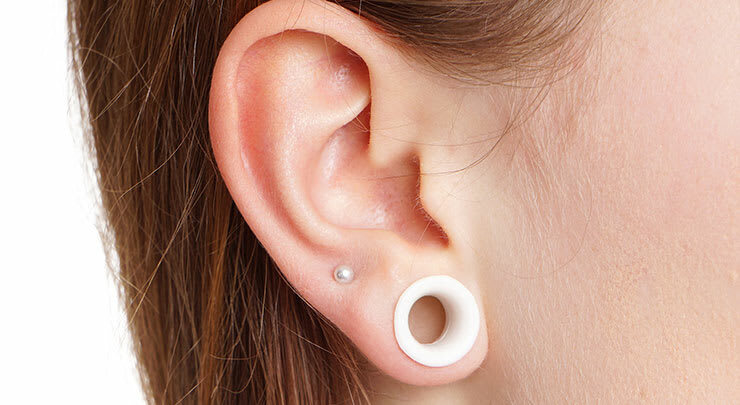 Stretching a piercing with a plug, tunnel or eyelet leaves a large hole in the lobe that cannot be reversed without surgery. Elongated earlobes are very common. 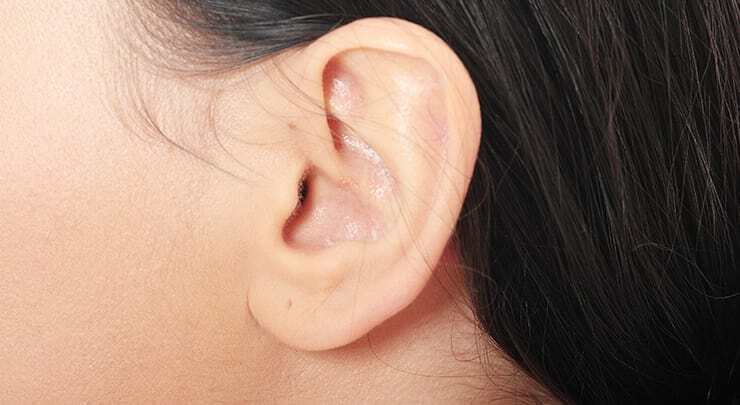 Unlike the rest of the ear, the lobe has no cartilage and is comprised entirely of fat and skin. As a result, it is susceptible to sagging, brought on by the natural process of aging, UV exposure, and trauma (most notably from wearing heavy earrings). Elongated earlobes may also be overly thin because of stretched out tissues. Irregular creases and wrinkles on the surface of the earlobe can appear with aging. Irregular shape or pixie ear caused by a facelift. Sometimes, the earlobes may become misshapen during a facelift. It is important for your facelift surgeon to consider the shape and position of the earlobes as well as any sutures in the area when modifying tissues during a facelift. The most effective treatment for earlobe deformities, whether congenital or acquired, is surgery. The only non-surgical option that may be considered is injectable fillers, which can plump up overly thin earlobes or smooth away wrinkles and creases that develop with aging. All other deformities are normally treated with cosmetic ear surgery (otoplasty). Bringing together the pieces of a split or cleft earlobe so they combine to make a single one. Removing the excess tissue that forms a duplicate or enlarged earlobe. Reshaping the earlobes (or other parts of the ear) to reduce their projection. Adding more tissue (skin flaps) to the earlobe to make it more aesthetically pleasing. This tissue may be borrowed from another part of the head or body. Earlobe reshaping surgery often requires only local anesthesia. However, general anesthesia is usually administered to children or if more extensive correction is needed. The procedure can take as short as a few minutes to over an hour.